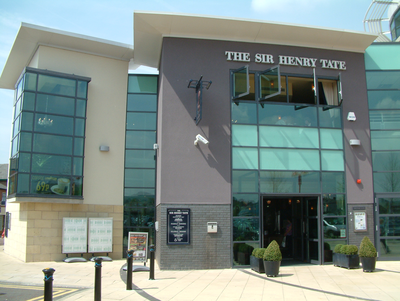 Chorley's Wetherspoon's pub is the Sir Henry Tate, located next door to the Booth's Supermarket overlooking the Flat Iron market. The pub's website confirms that it is named after Chorley’s most celebrated son. Sir Henry Tate began his working life as a grocer, made a fortune from sugar-refining and left his collection of paintings to the nation. He also funded the building of the Tate Gallery. 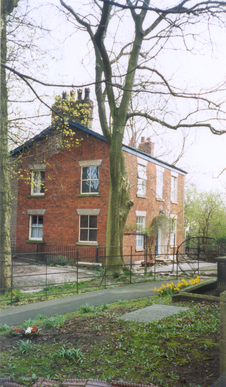 Sir Henry Tate was born on 11th March 1819 at White Coppice, near Chorley and died on 5th December 1899 leaving his wife and sons £12,644,215 (just over 1.2 billion in today's money!). He was the son of a Unitarian Minister William Tate and his mother was Agnes Booth and lived with his family on Terrace Mount before moving to the Manse on Park Street where his father worked as a Unitarian minister and teacher at the nearby chapel. When he was 13, he became a grocer's apprentice in Liverpool. After a seven-year apprenticeship, he was able to set up his own shop. His business was successful, and grew to a chain of six stores by the time he was 35. In 1859 Tate became a partner in John Wright & Co. sugar refinery, selling his grocery business in 1861. By 1869, he had gained complete control of the company, and renamed it as Henry Tate & Sons. In 1872, he purchased the patent from German Eugen Langen for making sugar cubes, and in the same year built a new refinery in Liverpool. In 1877 he opened a refinery at Silvertown, London, which remains in production. At the time, much of Silvertown was still marshland. Tate was a modest rather retiring man, well known for his concern with workers’ conditions. He built the Tate Institute opposite his Thames Refinery, a bar and dance hall for their recreation. Tate rapidly became a millionaire and donated generously to charity. In 1889 he donated his collection of 65 contemporary paintings to the government, on the condition that they be displayed in a suitable gallery, toward the construction of which he also donated £80,000. The National Gallery of British Art, nowadays known as Tate Britain, was opened on 21 July 1897, on the site of the old Millbank Prison. Tate made many donations, often anonymously and always discreetly. He supported "alternative" and non-establishment causes. 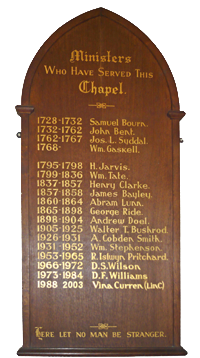 There was £10,000 for the library of Manchester College, founded in Manchester in 1786 as a Dissenting academy to provide religious nonconformists with higher education. He also gave the College (which had retained its name during moves to York, London and finally Oxford), £5,000 to promote the ‘theory and art of preaching’. In addition he gave £20,000 to the (homoeopathic) Hahnemann Hospital in Liverpool in 1885. He particularly supported health and education with his money. He gave £42,500 for Liverpool University, £3,500 for Bedford College for Women, and £5,000 for building a free library in Streatham; additional provisions were made for libraries in Balham, South Lambeth, and Brixton. He also gave £8,000 to the Liverpool Royal Infirmary, and £5,000 to the Queen Victoria Jubilee Institute, which became the Queen's Institute for District Nurses. Tate was made a baronet in 1898, the year before his death. He had refused this title more than once until - after he had spent £150,000 to build the Millbank Gallery, endowed it with his personal collection, and presented it to the nation - he was told the Royal Family would be offended if he refused again. In 1921, after Tate's death, Henry Tate & Sons merged with Abram Lyle & Sons to form Tate & Lyle. In 2001, a blue plaque commemorating Sir Henry was unveiled on the site of his first shop at 42 Hamilton Street, Birkenhead. In 2006 a Wetherspoons pub in his home town of Chorley was named after the sugar magnate.